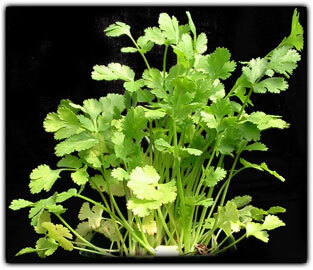 Also called Chinese parsley, this herb is mainly used in Mexican dishes. Prefers cool weather. A winter annual. When the days become long Cilantro sends up a flower spike or "bolts" and produces Coriander seeds. Once this happens it's time to plant Culantro for that summer Cilantro flavor.